Wild Honey is gonna have a midnight sale for the new Jack White vinyl! 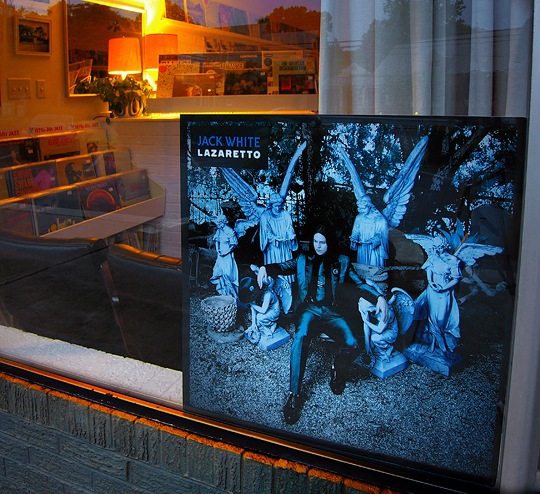 Our doors will open at 11:30pm this Monday night, so you can pick up a copy of the Lazaretto ULTRA-LP when the clock strikes twelve! Our June hours will be very limited: Friday NOON-8pm / Saturday NOON-8pm / Sunday 1-5pm… and for special events/new releases like this. We’ll have great quality stuff going out every weekend, so don’t miss out!